And so yes, this appears to be happening. 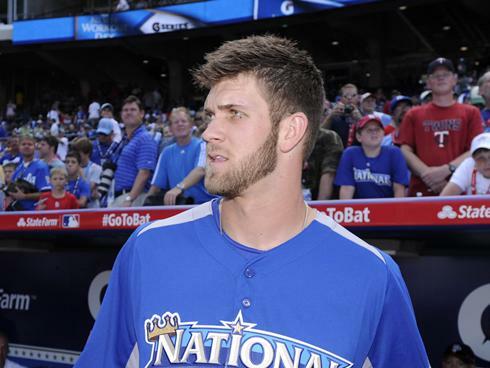 Bryce Harper got himself some new wheels, and the Washington Post has reacted in a calm, dignified, restrained manner. You know, with a 16 page photo gallery on pretty much every angle of said automobile. In fairness, it does have one pretty sweet feature, which we will get to in a minute. The rookie had his shiny new Mercedes-Benz CLS delivered after a month of custom detailing work. 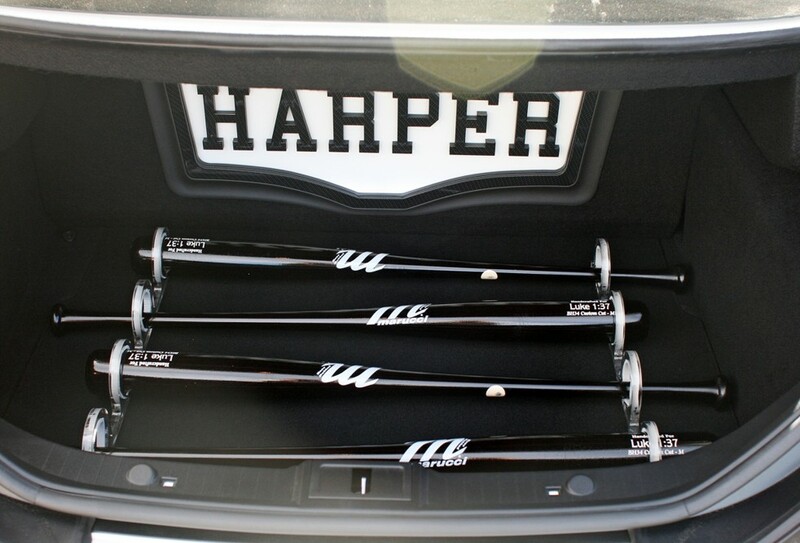 Harper had his Mercedes-Benz customized with a curly ‘W’ (We can only assume for ‘Washington’, although ‘W****r’ is of course still on the table) and a glowing bat rack in his trunk. That’s right, a bat rack, in his trunk, that glows. Your guess is as good as ours, perhaps Harper sometimes really needs to grab a bat in the dark. You never know. You can check out the full ‘article’ here, and while away your listless hours perusing the various snazzy little elements of the custom job. Hopefully this ‘article’ from the Post might spark other news starved papers to give us some insight into the trunk of their own marquee players. We assume Prince Fielder keeps some sort of grill in his trunk, and naturally Josh Hamilton has to have a fully stocked bar full video games system in his. Anyway, all that aside, is this the most talked about set of wheels outside of the Batmobile?